A reliable source for Dust Collection Equipment information and a resource for accessing leading Dust Collection Equipment and suppliers. Dust Collection Equipment The particles released during manufacturing processes are hazardous to both worker and equipment health, quickly leading to a number of problems if particles are not captured by dust collection equipment and filtered from facility air. Industries such as coal handling, cement and metal fabrication, woodworking, agriculture, medical, electronic and even food processing utilize a variety of dust collecting systems. In many of these situations, a retrieval component is added to equipment to recover, recycle and reuse manufacturing byproducts such as metal chips and liquids that are still very valuable. Product recovery is one of many considerations involved in the selection of dust collection equipment. Airflow, system power, motor and spatial requirements, storage capacity, minimum particle size, dust type and maintenance needs should all be carefully weighed as improper equipment can result in decreased productivity and product failure. In general, dust collectors work by drawing contaminated air through a filter, which captures and collects particles before releasing purified air back into the workspace or atmosphere. Though specific equipment varies, most dust collectors have the same basic components. A blower, dust filter, filter cleaning system, dust receptacle and dust removal system are present in nearly every type of collector unit. While systems can be singular, most high use equipment employ multiple filtration devices, some using up to four filter components. Baghouses, cartridge collectors, wet and jet dust collectors, ambient units, collection booths, downdraft tables and overhead hoods are all specific pieces of equipment. Baghouses are the most common apparatus employed due to efficiency and versatility. Units may be portable dust collectors or stationary. 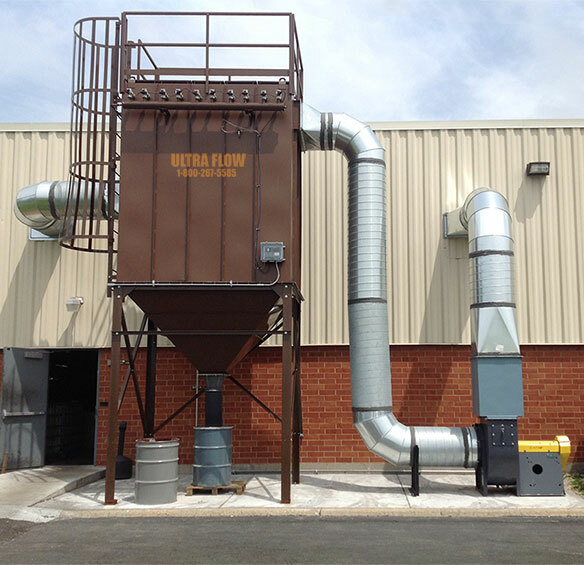 Industrial dust collectors are often stationary due to size while portable systems are often smaller and more easily transported from workstation to workstation. No mater the kind or mobility, every piece of dust collection equipment uses inertial separators, fabric filters, wet scrubbers, electrostatic precipitators, unit collectors or any combination of these to effectively and efficiently remove particulates from an air source.